It is with great sadness that after 66 years of providing K-8 Christian Education to the children of our community, Trinity Lutheran School’s K-8 ministry will close its doors at the conclusion of the 2018-2019 school year. Our last day for K-8 will be May 31, 2019. We thank God for the many opportunities we have had over the years to provide excellence in elementary and middle school education, and to share the Gospel and the love of Christ with all the children entrusted to our care. We pray that the blessing of those lessons and experiences from TLS will stay with each and every student, and with God’s love and guidance, that they would bear fruit to the glory of God for many years to come. WE ARE CHAMPIONS, WE ARE WARRIORS, WE ARE VIKINGS, WE ARE CHILDREN OF GOD! GO OUT AND MAKE TODAY THE BEST DAY EVER. We are so very proud of our TLS legacy and want to thank all those people who have served, donated, supported and attended the K-8 ministry across this span of 66 years. We trust that we are guided by God’s will for Trinity’s future, as we adjust our course and move into Trinity’s second century of ministry. Trinity Downtown will continue in its commitment to Christian Education for children through its CDC School Ministry, for children from infancy through VPK, and through the Children’s ministry and Youth ministry programs of Trinity Downtown. Trinity Lutheran School (TLS) promotes academic excellence, nurtures personal relationships with God, and prepares all children to lead responsible, purpose-filled lives for Christ. Nestled in downtown Orlando, TLS provides a nurturing and educational environment for infants through eighth grade. Whether in our warm and cozy infant/toddler settings, home-like preschool atmosphere, vibrant elementary classrooms or pulsing middle school, our parents know we wrap our students in the loving arms of Jesus Christ. Our secure five-acre campus provides ample space for our state-of-the-art Child Development Center, sports field, full-size gym, science and portable technology lab, art studio, and a historic setting for our weekly chapel worship. Music? Spanish? We have those, too. Become a part of the Trinity family and experience award-winning education recognized by the National Lutheran School Accreditation. Our purpose, as a ministry of Trinity Lutheran Church, is to provide an education that focuses on developing the whole child as a disciple of our Savior, Jesus Christ. Trinity’s students are given the opportunity to grow in God’s Word through spiritual, scholastic, emotional, and aesthetic areas. God has provided TLS with a team of dedicated and talented teachers who understand and enjoy the children they teach. What makes a Lutheran School the right choice for your family? Learn more about Trinity Downtown and its commitment to providing excellence in childcare and education to equip and prepare the next generation of leaders. 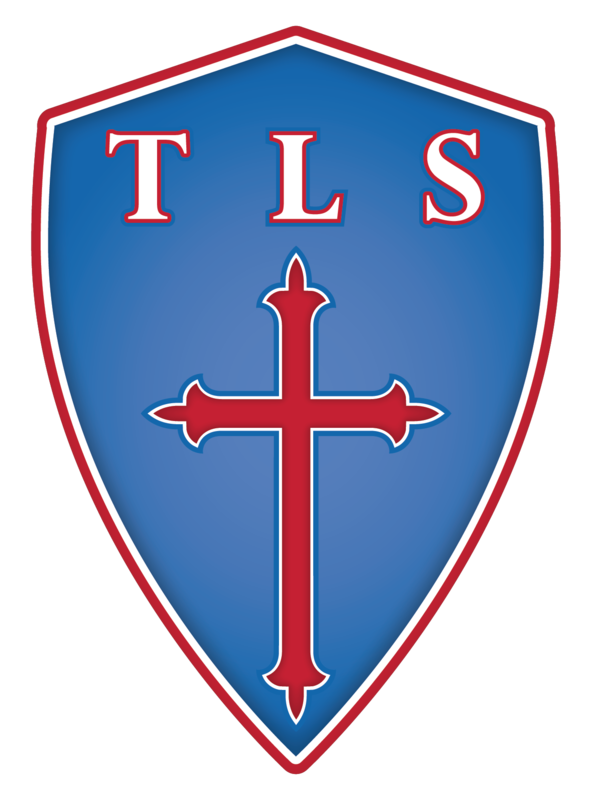 To keep up to date on what’s going on at Trinity Lutheran School, check out the TLS Blog. Great things are happening in the Trinity Community, and this is a great way for you to stay informed and get connected. Our teaching, administrative, operations and pastoral staff teams are another integral part of what makes Trinity unique and allows us to provide programs which promote academic excellence and nurture Christian character. A well rounded education includes not only challenging classroom curriculum but also involves components of social, emotional and physical growth and development. Learn more about extra-curriculars at TLS. Do you have questions about enrollment, tours, tuition, scholarship or extracurricular activities at Trinity! You can find all of that and more here on our website. Listed here is a short list of FAQs for you to browse and links for additional information. If you can’t find what you’re looking for, please give us a call at 407-488-1919 or email at TLS@TrinityDowntown.com and we’ll be happy to answer any questions you might have! What ages/grades do you have at TLS? Trinity Lutheran School admits children and students from 6 weeks old through eighth grade in the school’s Child Developement Center or the Kindergarten through Eighth grade program. Do you accept McKay or Step Up Funding? Yes, we do. You can learn more on Trinity’s scholarship page. Yes, it’s called Extended Care at Trinity, which includes Mini-Camp for teacher workdays. Camp Trinity also offers care for students during Winter Break, Spring Break and a full Summer Camp Program. Please visit Trinity’s Admissions FAQ page. As a parent to a trinity child, I have nothing but accolades to give to the growth and development of my child thanks to this school. I have had my daughter at Trinity since she was 12 weeks old and I have watched her grow into an incredible young lady that has the most intimate relationship with Jesus thanks to her Godly foundation at home and confirmed by this school. The staff is family and we love them more than I can communicate in words. I am eternally grateful for what this school has done for my daughters spiritual growth, educational growth and common sense growth. Thank you Trinity you will be part of our life forever.